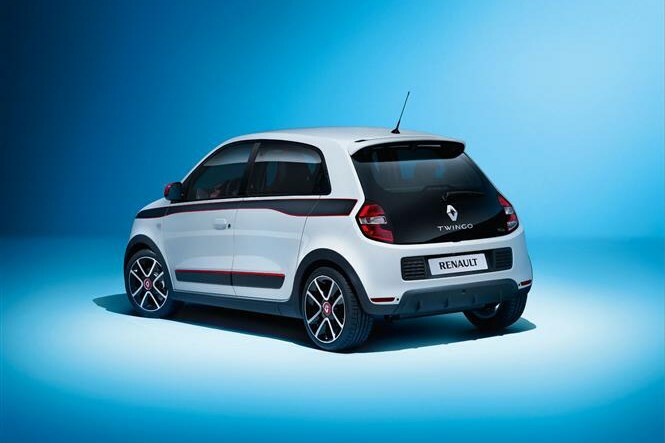 This is the all-new Renault Twingo city car. It's mission is to recapture the spirit of the original, which wasn’t officially sold in the UK, after a comparatively lukewarm reception to the outgoing model. The biggest news is that the all-new rear-engined, rear-wheel drive underpinnings the Twingo is built upon will also be shared with the next generation of two- and four-seater Smarts. Renault promises the rear-engine layout has a number of benefits that new Twingo drivers will quickly appreciate. What isn’t yet clear is what engines will actually be fitted but we would expect a small-capacity petrol engine from Renault’s current range to be offered. Improved packaging means that there’s more space in the cabin for passengers, with the motor located under the back seat and boot floor. Not having an engine under the bonnet also allows the front wheels to turn more than usual too, giving the Twingo a much smaller turning circle than before, which in turn promises great manoeuvrability around urban environments. Renault suggests the layout also promotes good handling, making the new car particularly agile, something that would bode well for a potential RenaultSport Twingo in the future. Being a five-door only city car, access should be a strong point. Like other five-door cars in this segment the rear windows pop outwards rather than wind down. Similar to the larger Clio and Zoe the back door handles are concealed in the end of the window frame. The large glass tailgate provides the entry point to the rear boot. Despite its looks, there’s no storage compartment under the front bonnet. Instead that space is taken up by crash protection structures and other ancillaries. 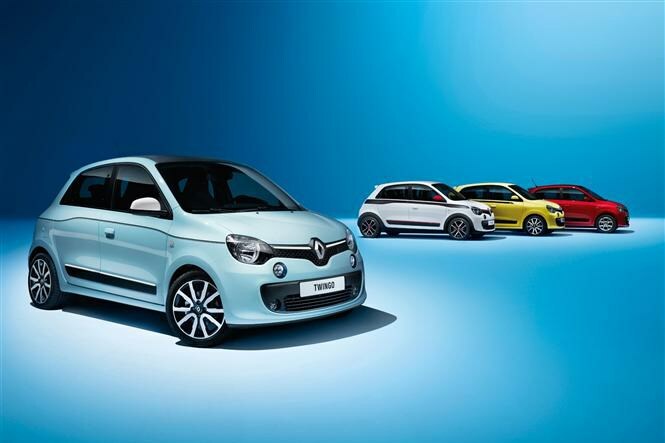 Renault is keen to plug its heritage with the new Twingo, frequently citing the cheeky original model and even the classic Renault 5 with reference to the slope of the rear hatchback. 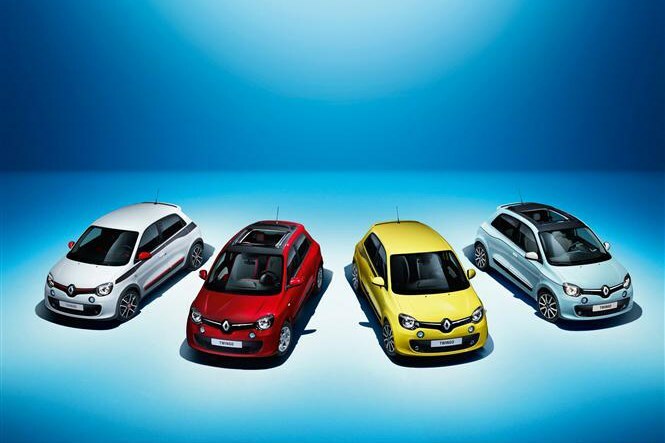 At launch the new Twingo will only be available in four body colours – white, red, yellow and light blue – accentuated by optional body graphics, designed to appeal to male and female buyers alike,. Up front the distinctive nose is accentuated by a large Renault badge and LED daytime running lights in their own circular housings. 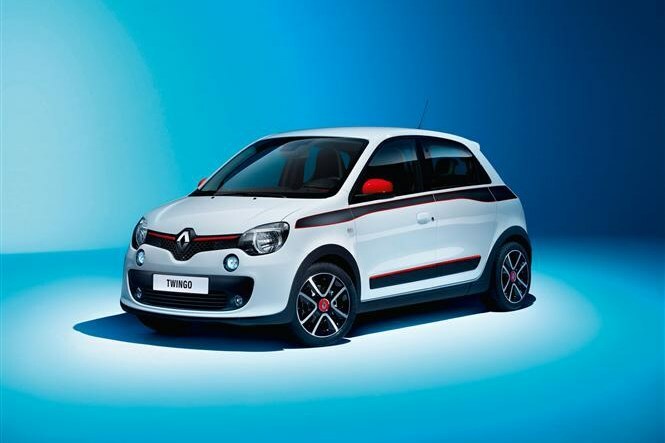 Renault’s new Twingo will be available to order from summer 2014 with prices starting in the region of £10,000. Check back well before then to read Parkers’ detailed new Renault Twingo review and find out how this new city car performs. For more news on the Geneva Motor Show, click here.